Prof. Detlef Schuppan - NorthSea Therapeutics B.V.
Detlef Schuppan received his MD degree in Berlin, and two PhD degrees, at the Max-Planck-Institute of Biochemistry in Munich and the Free University of Berlin, Germany. He was Associate Professor of Gastroenterology/Hepatology/Medicine in Berlin until 1997, Full Professor and Deputy Director of the Dept of Medicine I (Gastroenterology, Hepatology, Pulmonology, Infectious Diseases and Endocrinology) at the University of Erlangen-Nuremberg, Germany until 2004, and finally Full Professor of Medicine and GI/Hepatology Consultant/Attending Physician at Beth Israel Deaconess Medical Center (BIDMC), Harvard Medical School (HMS) in Boston until 2010. 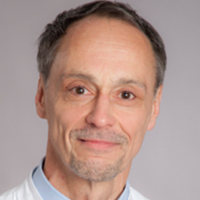 He has founded and serves as Director of the Institute of Translational Immunology and as Attending Physician at Mainz University Medical Center, Germany, with a continuing faculty position at BIDMC and HMS. Research and clinical focus is on liver inflammation, fibrosis and NASH; on intestinal inflammation, food related disorders, including celiac disease, wheat sensitivity, food allergies and the role of the nutritional factors and the intestinal microbiome on autoimmunity, GI and liver cancer. DS has been and continues to be Consultant, Principal and Co-Investigator in numerous clinical studies that deal with the above diseases. He has been Secretary General of the European Association for the Study of the Liver (EASL), member of several committees of the AGA, AASLD, and the United European Gastroenterological Foundation. He has been awarded numerous prizes, including an ERC Advanced Grant of the EU in 2011 and the Mäki Research Prize for Life Achievements in Celiac Disease Research in 2015. He currently serves as Associate Editor for the American Journal of Physiology and Gastroenterology, and as Editorial Board Member of the Journal of Clinical Investigation. He has published more than 490 Pubmed cited articles.